Are You Ready for a Party!?!? I don't know if you've noticed the energy on campus this week at pick up time, but it's starting to feel like party time! 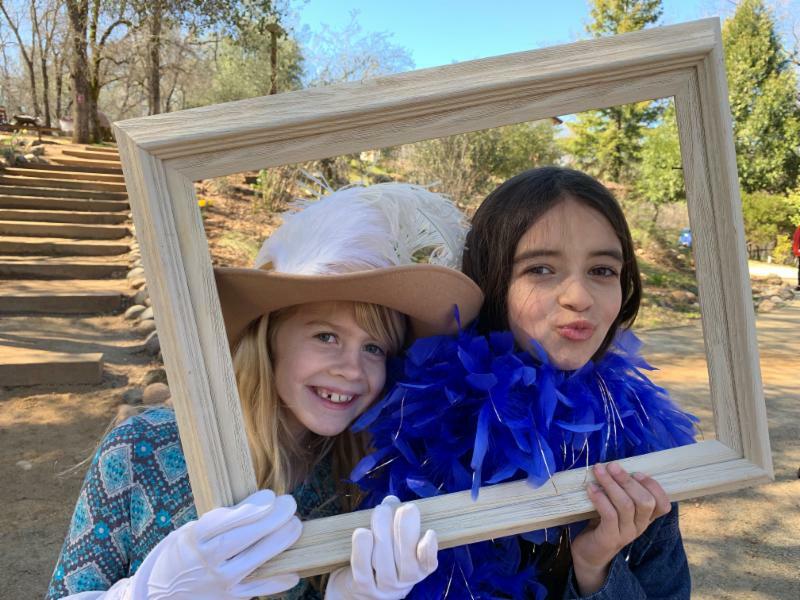 Students, staff, parents and faculty all got into the spirit this week, donning top hats, satin gloves and feather boas to spread the word that our biggest party of the year is just around the corner! 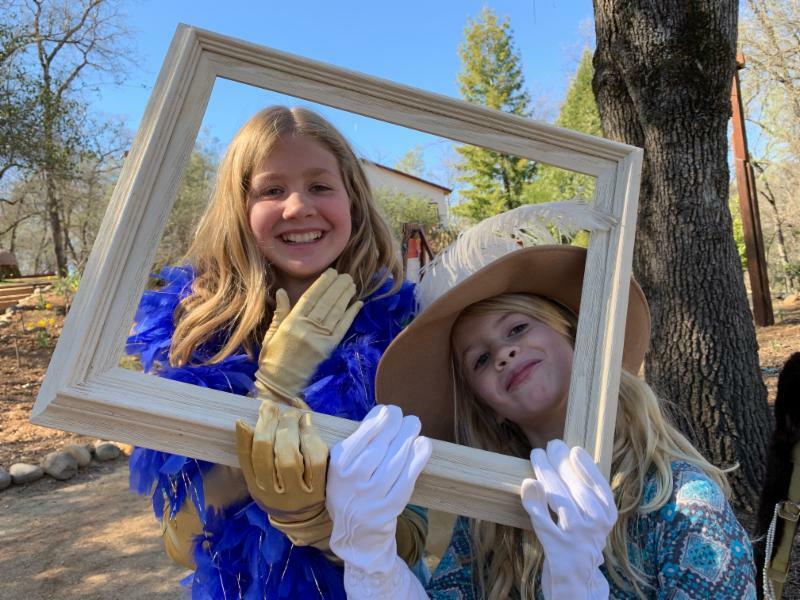 Check out the fun photos further down the newsletter to see if someone you know stepped into our Golden Frame for a Star Shot! 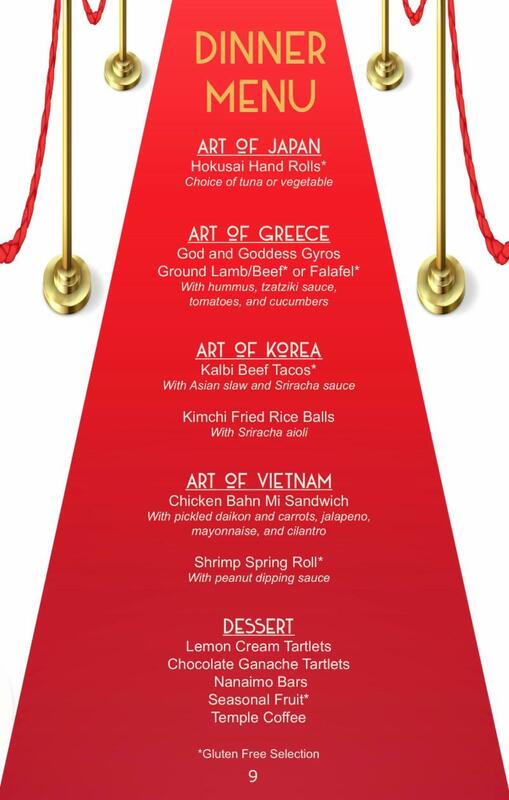 Art Unveiled: Red Carpet Gala, is next Saturday night and besides all the terrific getaways, fine arts and crafts, fun family experiences and more that will be up for bid, we have an amazing food and drink menu to savor (see below), inspiring decor to enjoy and a centrally located dance floor to break in, with our own DeeJay Alex East in the house to spin the tunes. The only other thing we need to complete the party is your presence! So why not buy your tickets today? The event will be held from 5:30 un til 10 p.m. on Saturday, March 23 and has a new venue this year: the Cameron Park Community Center, 2502 Country Club Dr. I look forward to seeing you there! 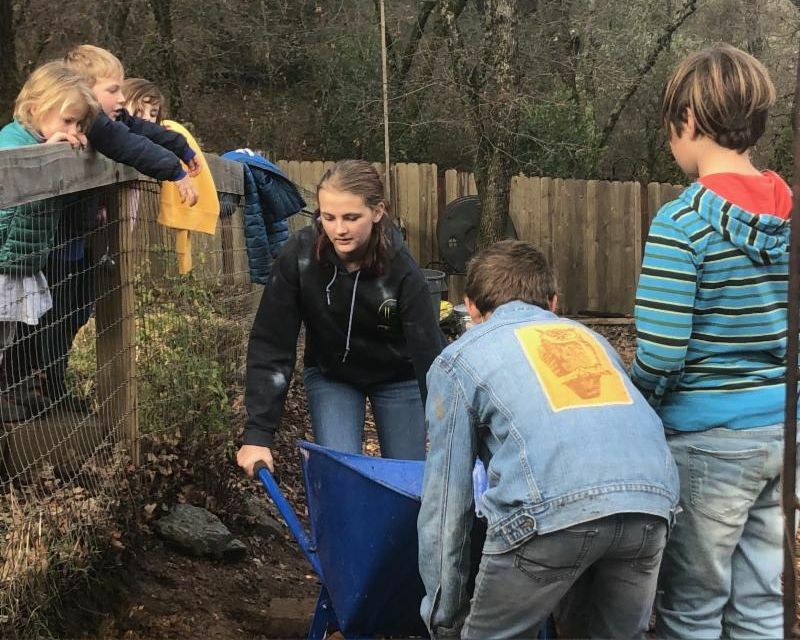 Complimentary and reduced-price tickets are available for a number of event volunteer positions, and many helping hands are still needed to ensure our event's success. 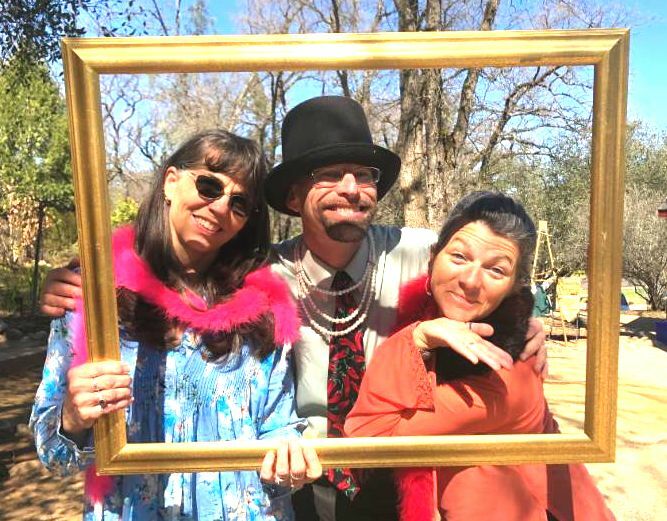 Besides being a terrific way to have fun with your fellow Waldorf parents, helping with our auction is also an easy way to meet your monthly volunteer commitment requirements. 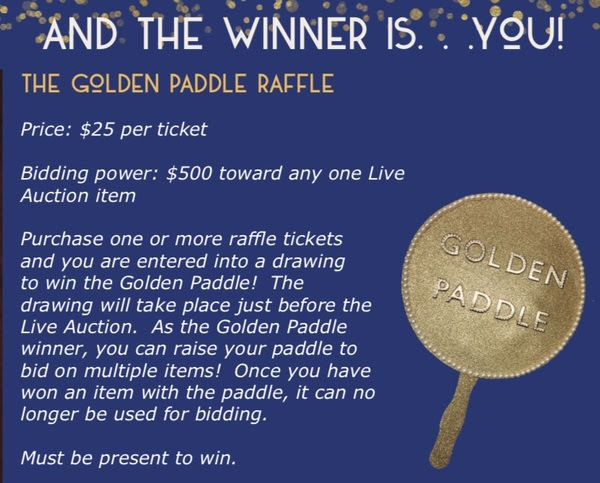 Golden Paddle Raffle Tickets Now on Sale! Do you wish you had an extra $500 to spend at the Live Auction? Maybe you’re eyeing a class project, a trip, or those braces ? Edge out the competition with the Golden Paddle! Get your raffle tickets for just $25 each and you could win $500 towards one Live Auction item! Buy more than one and increase your odds! Must be present to win…or designate a bidder to raise the paddle for you. How do you get a raffle ticket? Pre-registered ticket holders can buy them on-campus or via email ( cedarspringsauction@gmail.com ) . 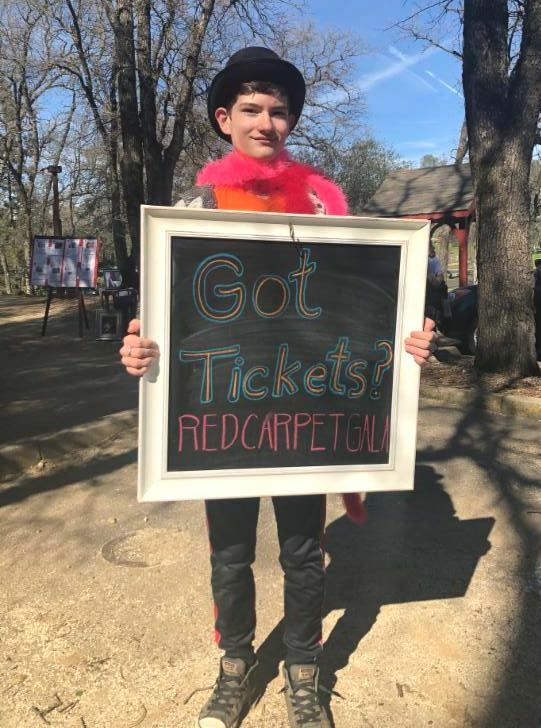 If you don’t have your tickets yet, or want to add them to your purchase, click HERE and buy your golden tickets online, on your schedule! This offering is a culmination and representation of a CSWS journey! 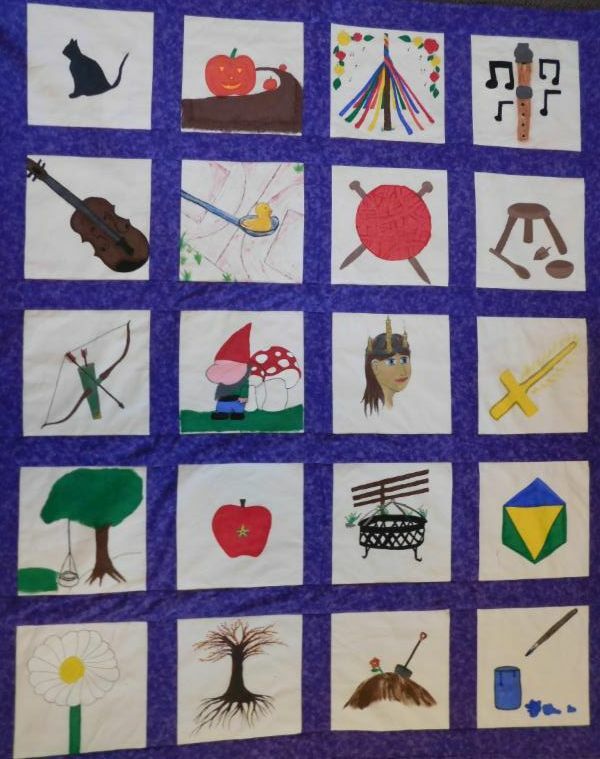 Each student captured a place, event, or subject on muslin for this "Waldorf Memories" quilt. 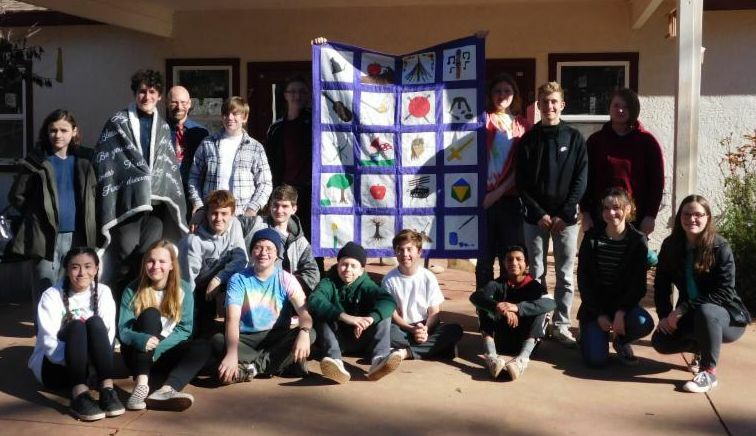 They were then pieced together, framed in lavender, and quilted into a gorgeous one-of-kind piece by Eighth Grade Parent Lisa Steinmetz. This unique lap quilt (or wall hanging) measures approximately 50" by 60" and is sure to be a treasured family heirloom. Do your kids have an outdoor space to call their own? 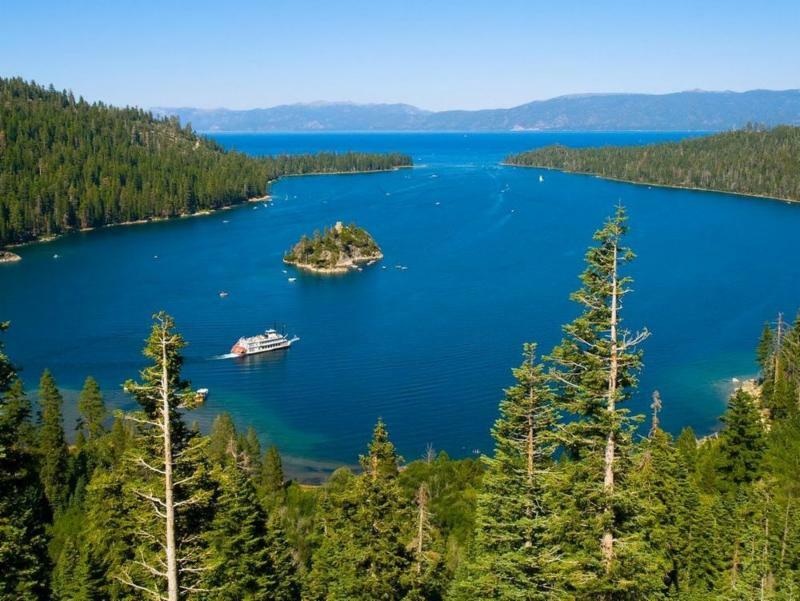 Have you always planned to build them a tree house but haven't been able to find the time? Imagine the creative play, the quiet sanctuary, and the summer sleep-outs this space will inspire! This Waldorf-worthy wood tree house, designed by Second Grade Parent Pete Barba, measures 6' x 7' inside, with a railed deck measuring 6' x 5', and comes with installation from the capable Second Grade parents. 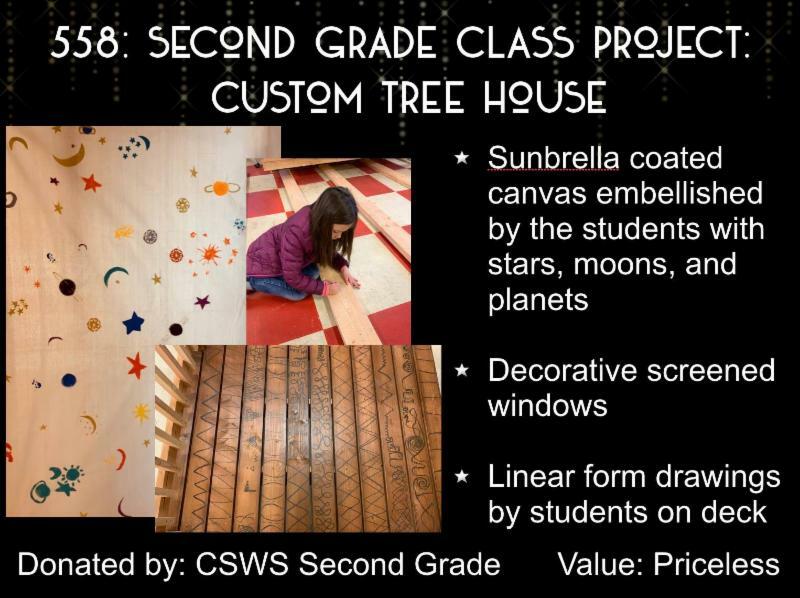 The Second Grade students have embellished the canvas with stars and moons, as well as the porch deck with linear form drawings. Take home these hand-built, child-sized chairs and table! 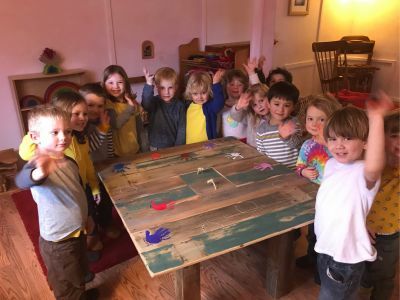 Class parent, Ronson Crowder built the fabulous table from wood reclaimed from the lower meadow play structure, and used reclaimed wood from school and home for the chairs. Miss Christl assisted our youngest children with adding their painted handprints before applying shellac to preserve their handiwork. Included is a round red shag rug creating a place for play, snacks, and quiet work. 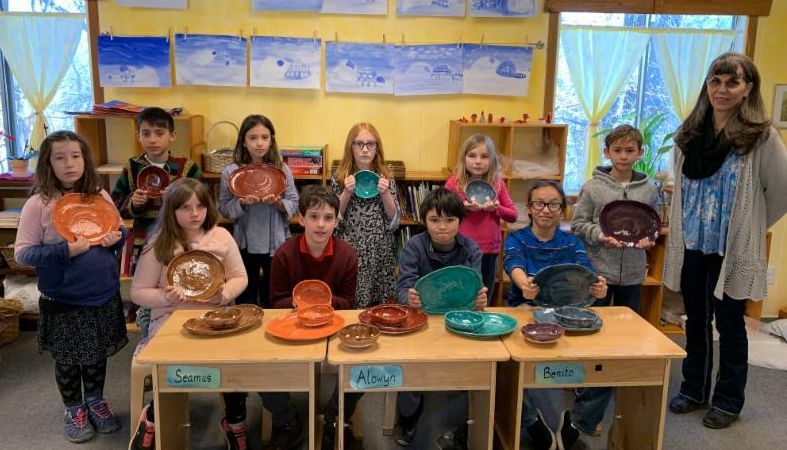 The creative Class of 2024 presents a project inspired by their cooking curriculum! 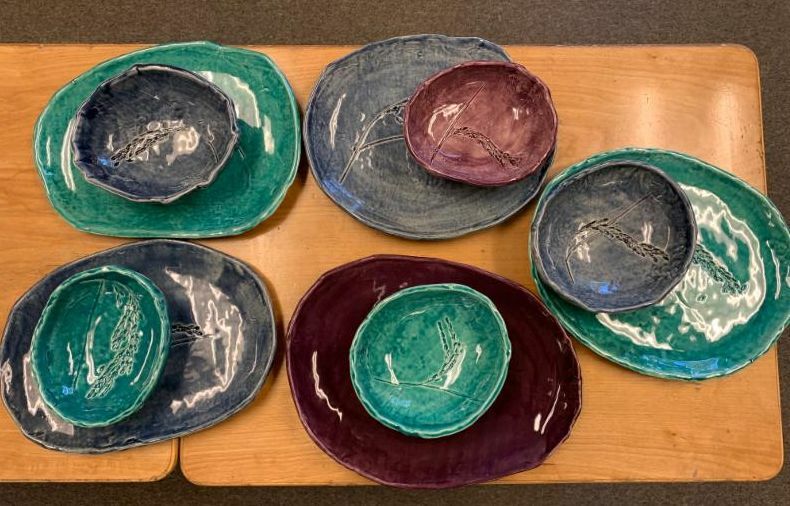 Two distinct sets of six bowls and six plates -- each in a lovely color palate -- make a unique dish set for your table. Each has been rolled and imprinted with either a rice or a wheat seed head, and then shaped using large river rocks by the children. 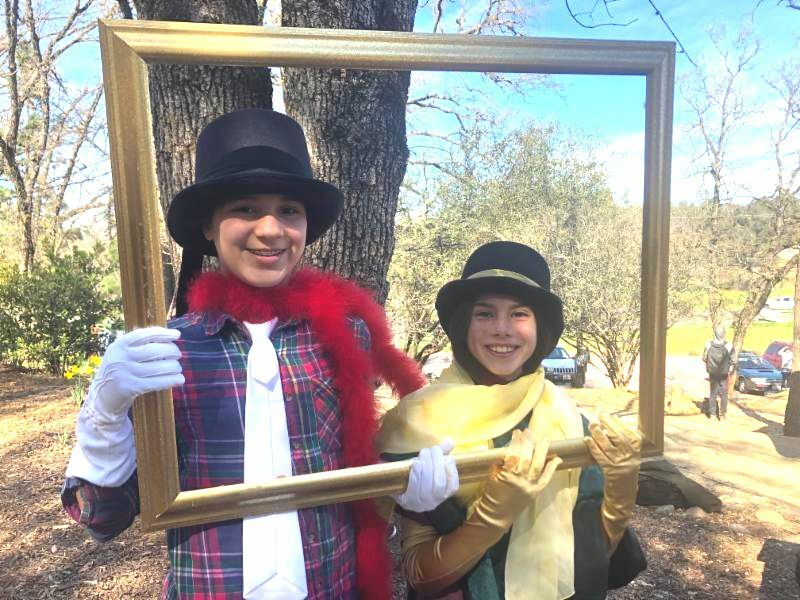 Look for them in the Impressionism and Modern Silent Auction Tables! More Class Project Profiles Coming Next Week! Win this birthday party for a lucky girl or boy at the Greenstone Country Barn and arena! The Barn is a fully finished indoor venue for the party. 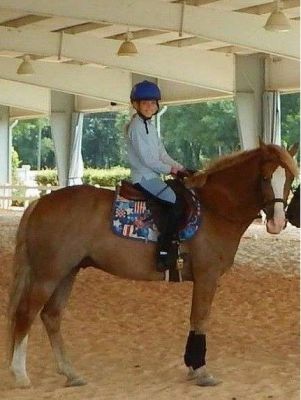 The palomino pony will give up to 12 guests (under 150 pounds) a ride around the arena next to the barn! This fun two hour party includes decorations, pony, and security deposit. Up to ten guests will join CSWS dad Jorden Mingle for a short tour of Miraflores Winery and an optional up-to-your-knees experience stomping grapes! 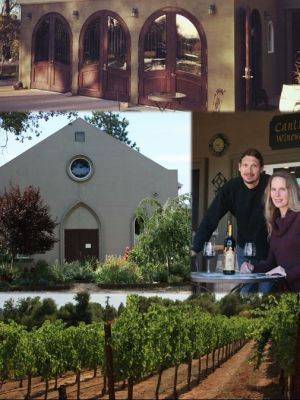 Wine tasting, fresh grape juice, and a small bite menu rounds out this unique look at one of our local industries. 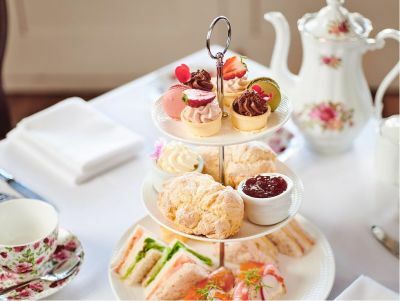 A Victorian High Tea for any occasion or party ... or even just for fun! You and up to 20 guests will enjoy a variety of delicious, homemade sweets and savories served on vintage plates, teapots, tea cups, and saucers. Bring your own gloves, hats, parasols, and dolls! Menu can be tailored to your tastes, within limits. Just in time for the mild days of springtime! 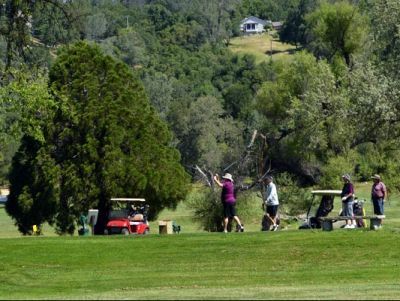 Invite friends or family to join you in a round of golf for four at Cold Springs Golf and Country Club near Placerville. This fun outing includes a golf cart. 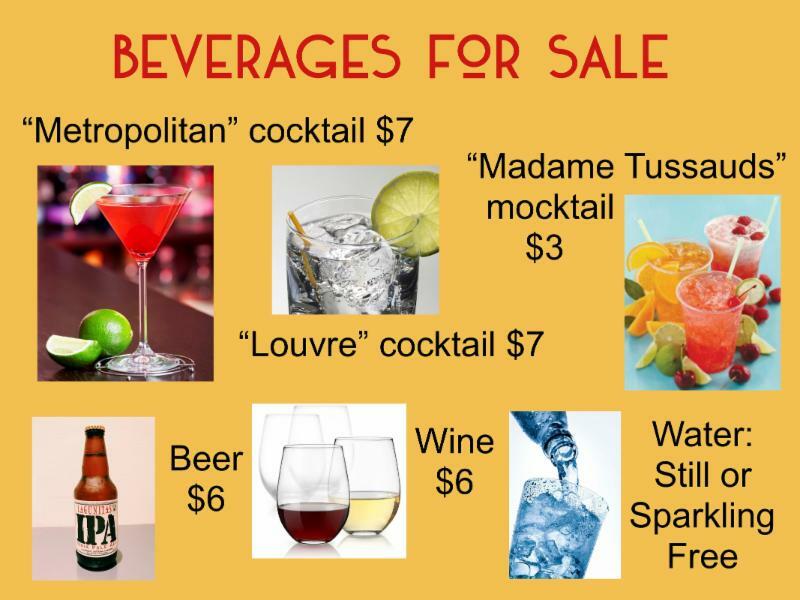 ...And Super Yummy, Fun Beverages! 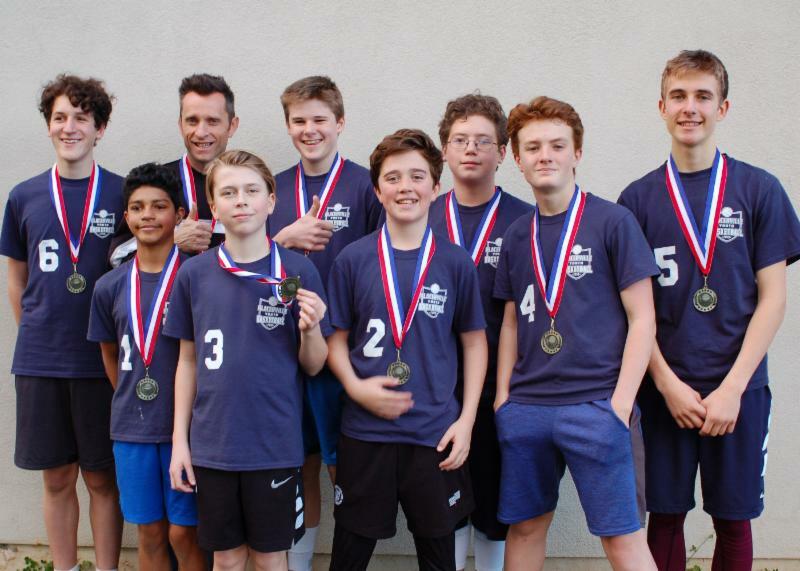 Congratulations to our 8th Grade Hawks on a well-played season! Kudos also to our Flying Hawks (co-ed team), Soaring Hawks (7th Grade boys) and our 6th Grade team for their hard work and sportsmanship. 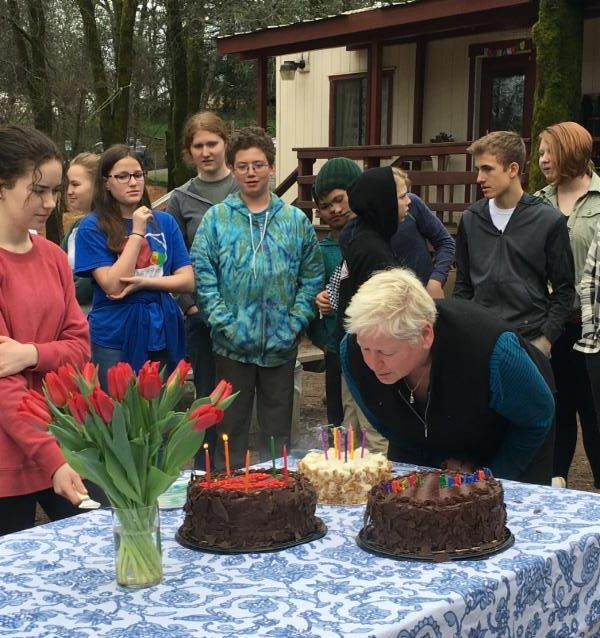 Happy Birthday Wishes for our Beloved Ms. ThompSon! Ms. ThompSon celebrated her birthday earlier this month, along with many friends to wish her much love and many blessings on her year! 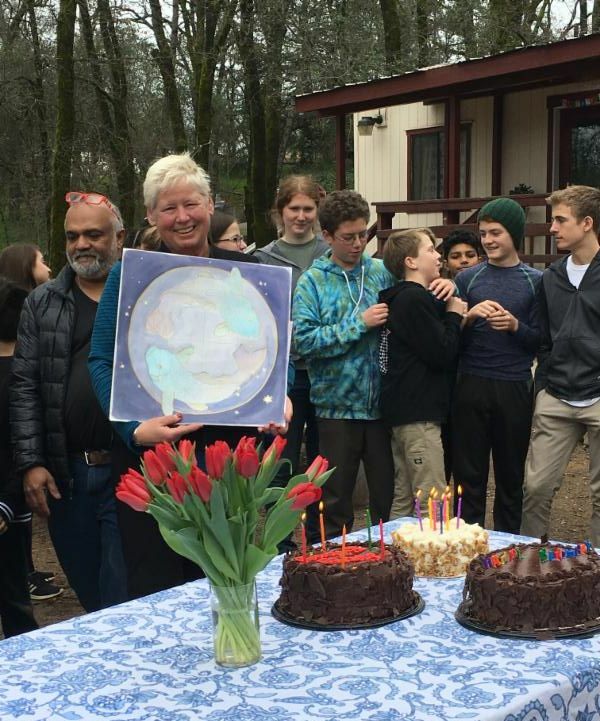 Along with three different birthday cakes and some lovely flowers, her CSWS family also gifted her with a giant, hand-decorated birthday card. We hope it was a very Happy Birthday, Ms. T! 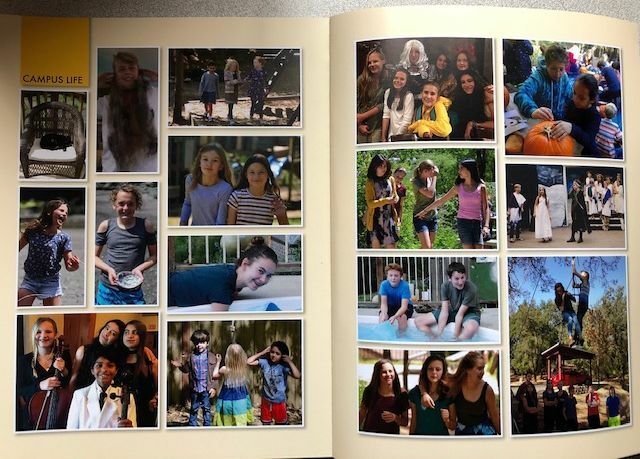 Customize Your Child's 2019 Yearbook! Cedar Springs Yearbooks are on sale. Included with each yearbook purchased are 2 customized pages that parents can tailor for their child. To take advantage of this free option, please purchase your yearbook and complete your page design by April 12. Questions? Contact7th Grade parent Lindy Smither at: jackandlucysmom@yahoo.com . 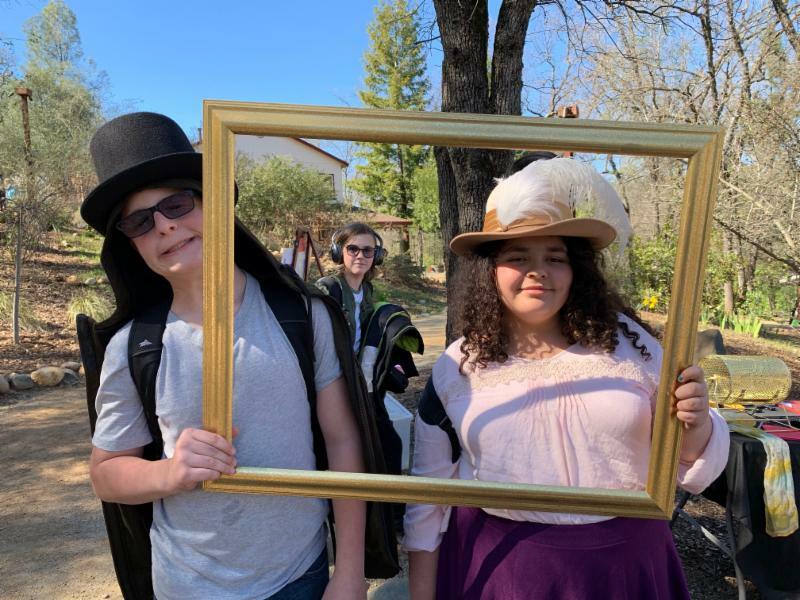 On a recent afternoon pick up, our students stopped by the 'Paparazzi Pavilion' and had some fun helping the community get into the spirit for our "Art Unveiled" Red Carpet Gala! We look forward to seeing you there! The College of Teachers is seeking individuals who can act as substitute teachers. With our pedagogical chair position now vacant, we no longer have a go-to for when our teachers are ill or need to be away for the day for personal or family needs. With the cold and flu season approaching, the College would like to begin compiling a list of people, especially those with a teaching credential or experience working with children, who can support our faculty in this way. 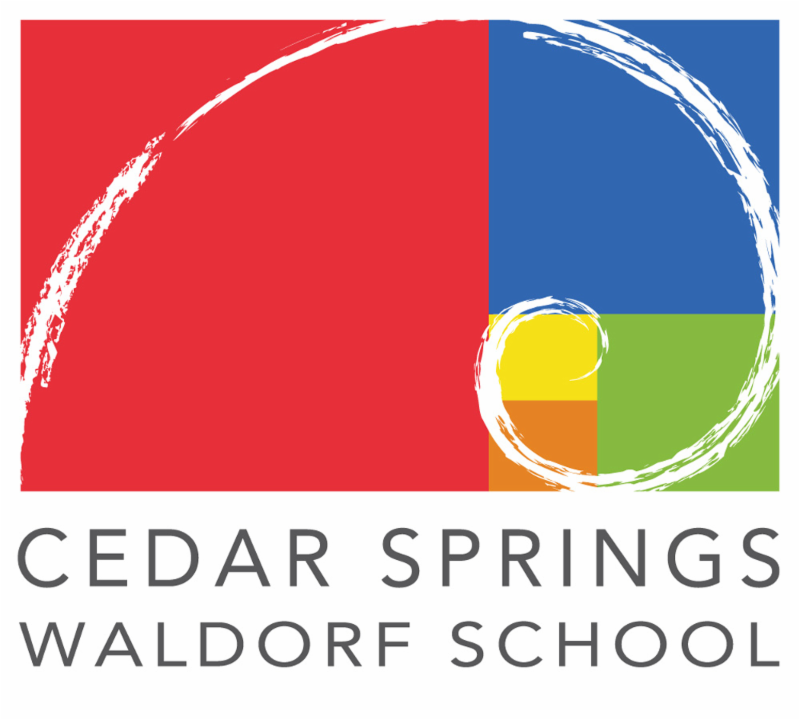 Please contact Amy Roehl at classof2023@cedarspringswaldorf.org if you can help with this. Mar. 22 ----- Auction set-up 1:30-6 p.m.
Mar. 24 ----- Auction Clean Up, 9-11 a.m.
Mar. 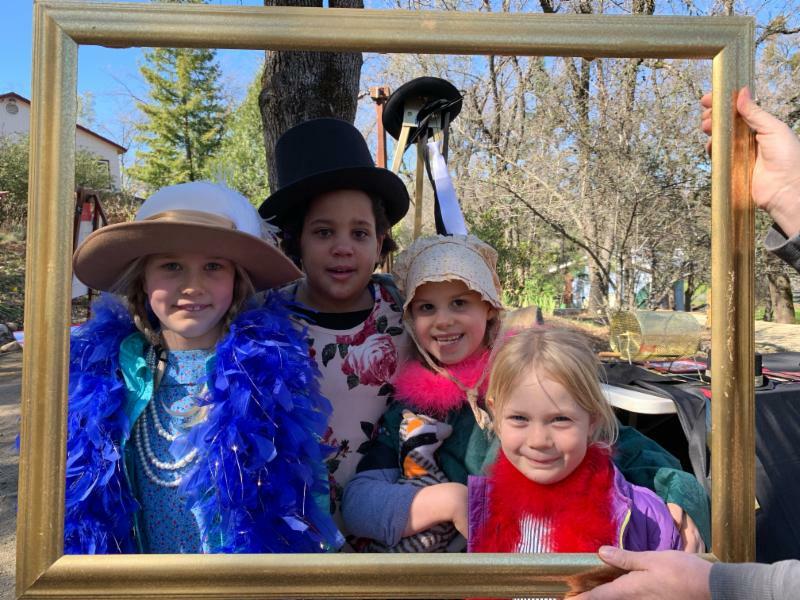 25 ----- No School - "Auction Recovery Day"
April 5 ----- Parent Guild Meeting, 1:35 p.m.
April 12 -----All School Assembly, 11:30 a.m., Early Dismissal, 12:30 p.m.